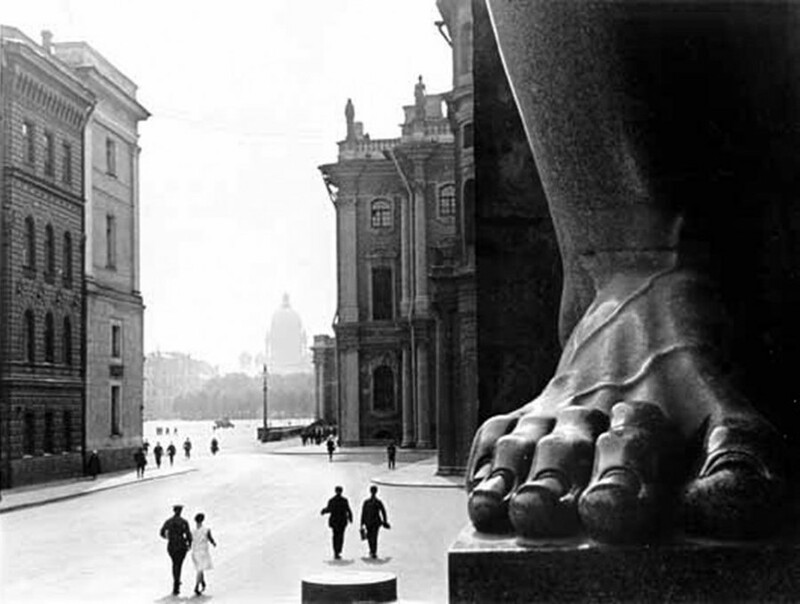 Russian modernist photographer and avant-garde artist, Boris Ignatovich’s photo of the Hermitage Museum in St. Petersburg, captures a calm moment that belies a turbulent time. The photo was taken in 1930, precisely during a brief two-year period in which some of the greatest artworks in history at the Hermitage (paintings by Rembrandt, Rubens and Raphael) were sold off by the Soviet state for record high prices, to pay for Stalin’s Five Year Plan. This week’s winning photo was chosen by AnOther Loves contributor Annoushka Giltsoff, whose appreciation for Russian culture is well-documented in her interview with us below. 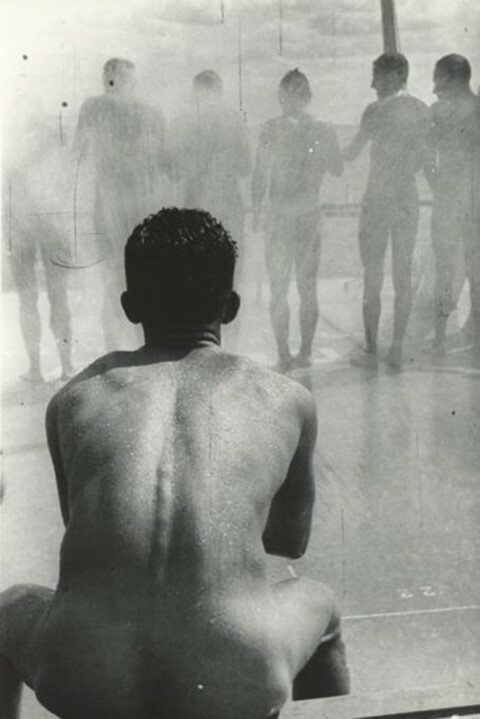 In the late 20s and early 30s, Ignatovich and his comrades were keen to take more experimental photography, focussing on diagonal shots and bold cropping. Ignatovich wanted to reimagine traditional documentary photography and turn it into abstraction. 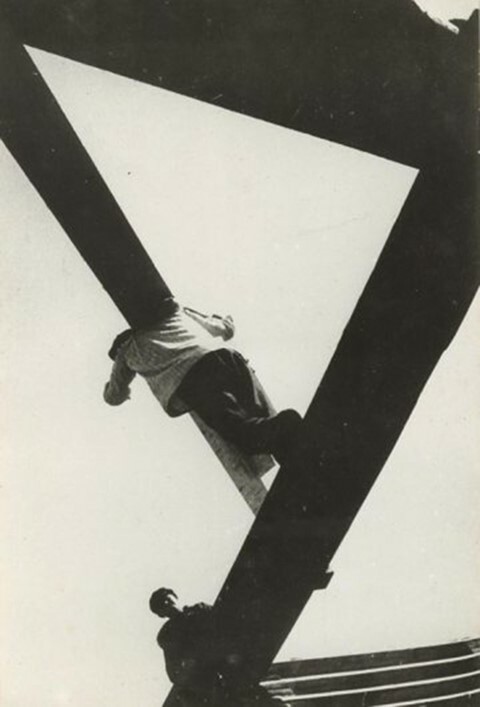 But still, this desire had it’s limits – the founder of constructivism, Russian artist Alexander Rodchenko, was kicked out of the October collective for venturing too far into formalism with his photography, even though he would go on to become one of the most well-known artists of that generation. 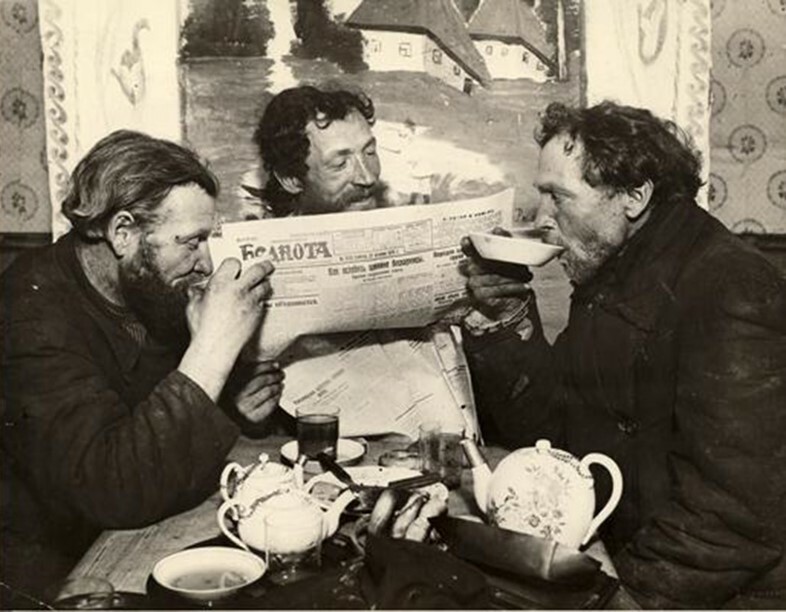 By the late 30s, Ignatovich and his fellow photographers moved further towards strict social realism, specifically photography that illustrated communist ideals. 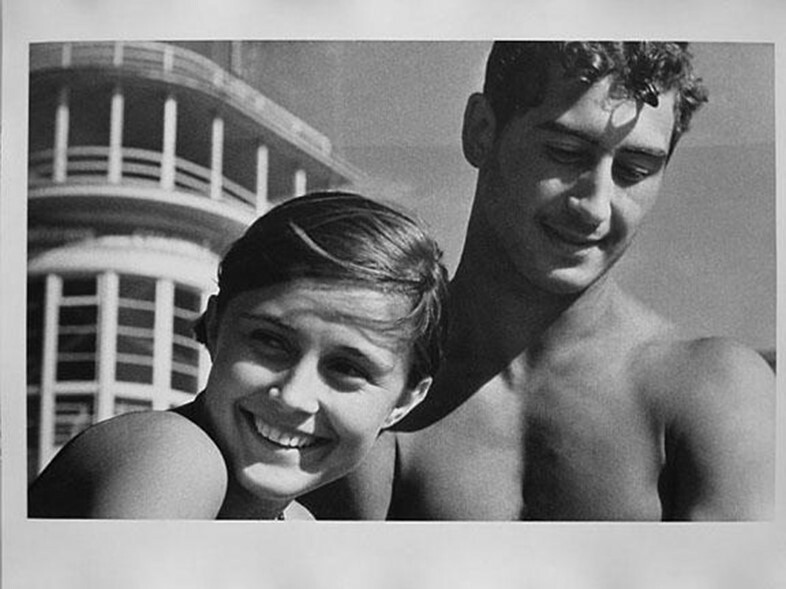 This ranged from casual street photography like the image of the happy young couple, pictured above, to more dour State-sanctioned series – including a visual documentation of the first American tractors in the USSR, and aerial shots of Moscow and St. Petersburg – that made Ignatovich so well-known in his time. 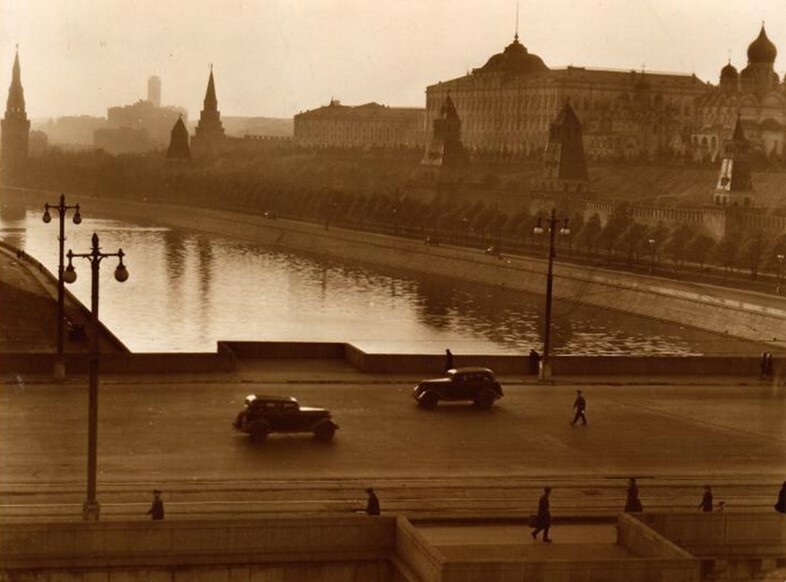 The photographer would go on to photograph the front during the war, and continued to work on landscape and portraiture until his death in 1976, but it is his early shots of the new Soviet ideal that are now most associated with him. For this week’s AnOther’s Lovers column, we spoke with Giltsoff about her continued love for Russian culture, from front row seats at the Bolshoi, to epic views of Moscow by sunset. Why did you love this photo of Boris Ignatovich at the Hermitage? It's just so surreal and completely beyond its time! It also reminded me of the colossal foot housed by Regency designer, Thomas Hope (1769 - 1831). If photos was yours, what would you do with it? I would put it somewhere where is could be seen and enjoyed daily. What is your favourite holiday photograph that you've taken? Catching the reflection of Vasili Yefanov's 'Unforgettable Meeting' c.1936 against the monument to Peter the Great by Zurab Tsereteli, and the Cathedral of Christ the Saviour at dusk in the huge glass windows at the New Tretyakov Gallery in Moscow provided quite a contrast. Have you ever been to Russia, and St Petersburg in particular? If so, what are your favourite memories of the country? Not to St Petersburg sadly and I am desperate, especially since having seen 'Russian Ark' by Alexander Sokurov whereby a French marquis played by Sergei Dreiden, leads you through the vast corridors and spectacular rooms at the Hermitage and subsequent different periods in Russian history in one take. I was in Moscow at the start of the year with two of my very best friends and front row at the Bolshoi for Giselle was outstanding - but everything in that city is! What’s your favourite place for a weekend city break? Everywhere! I seem to fall in love each time I arrive in a new city. A late 19th Century carved oak Russian panel by the Abramtsevo Colony. What are you looking forward to about the remainder of summer? Hoping to finish The Magic Mountain by Thomas Mann.